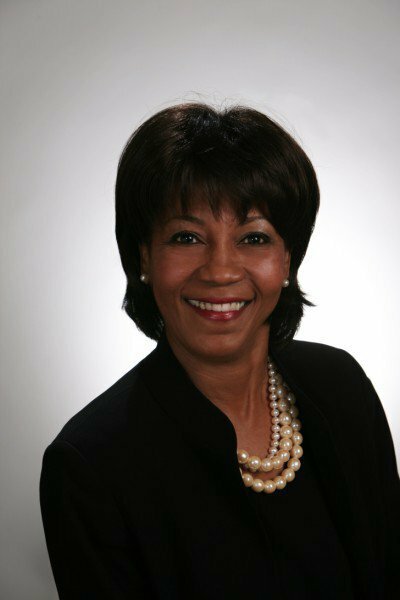 The Chron endorses Ann Harris Bennett for Harris County Tax Assessor. By Sullivan’s standard, we look forward to Apple releasing the Post Card 7, complete with four easy-to-handle sides and a convenient stamp location. Because if you want to register to vote in Harris County, or anywhere in the state of Texas, you have to do it by snail mail – and state legislators point to Sullivan as the reason why. A majority of the state House had co-sponsored a bill to allow online voter registration during the last legislative session. However, testimony by Sullivan redirected the sure-fire bill into the garbage. Whatever his other accomplishments in the office, whatever the deficits of his challenger, Sullivan’s failure to bring voter registration into the 21st century should disqualify him in the minds of voters. There is no excuse. That is why we endorse Ann Harris Bennett for Harris County Tax Assessor-Collector. An experienced administrator with more than 14 years’ service as a district court coordinator, Bennett, 63, has long advocated for better registration and election processes. She also recognizes how our property tax system treats homeowners unfairly in contrast to commercial property owners. I say this is a bit of a surprise for three reasons. One is that this means the Chron endorsed all Democrats for countywide offices. Given the dynamics of the other three such races, this was really the only one in which they might have endorsed the Republican and thus achieve some partisan balance, if that was a consideration. The Chronicle did not endorse Bennett in the primary, and they were not very complimentary to her at the time. Given those facts, and given that Mike Sullivan has been a considerable improvement over the two clowns that preceded him, I figured he would be an easy call for them. I did not expect them to put that much weight on the electronic voter registration issue. I’m glad they did, because this is easily my biggest point of disagreement with Sullivan. I fear that the moment may have passed for online voter registration – whatever consensus there was for it in 2015, I have a hard time imagining it being there in 2017. I hope I’m wrong, and for sure we should try again. Online voter registration would certainly be easier to make happen if the state’s biggest county officially supports it. Ann Harris Bennett is the one candidate who would offer that support. It’s amusing that The Chronicle assumes that Texas is ready to enter the 21st century with online voter registration. In what other ways has Texas done this? We’re talking about a Legislature, Governor and Lt. Governor who all hang their hats on intervening in private women’s health issues, thwarting the federal government in any way that they can, demonizing our LGBT citizens, and making voting out of reach for those citizens who have reasonable impediments obtaining ID. The DPS apparently cannot even properly administer it’s current mandate to register voters. With this context, why would anyone suppose that the Lege and Secretary of State would have devised a fair online voter registration system free of imbedded biases that are clearly expressed in so many of their other endeavors? It’s highly likely that a two-tier system would have been imposed on Texans, online registration for those with valid ID and the post card for everyone else. Sullivan did us a favor by preventing our regressive Legislature from designing a bad system, regardless of his intentions. Bennett, if elected, will not have the influence over the Legislature that she thinks she will, although I hope I’m wrong. So we keep a crappy voter registrar because he will have influence over the Legislature to keep up crappy practices?! I remember Sullivan’s response to a question I put to him on a local radio call in show about same day voter registration. He dodged the question completely saying “we weren’t ready”. I think he meant to say they are inept. I think you mean we need Bennett in office to hold the Lege’s feet to the fire. Brad, you missed my point entirely. The Texas Legislature, Governor and Lt. Governor are troglodytes who would not, by any stretch of the imagination, devise a fair, open-to-all-citizens online voter registration portal. Had they proceeded, we would now have a portal open only to those with the magic valid ID number, and anyone else could use the mail-in card because who gives a damn about creating a second-class caste of unregistered voters? As for the notion of a Harris County officeholder (D) holding the Lege’s feet to the fire, thanks for my daily guffaw! Bennett, if elected, can advocate till the cows come home, and I hope she would, but at the end of the day she will have to operate that office under the same laws as Sullivan is. The Texas Election Code is available on-line for your perusal. Finally, if you’ll re-read my first comment more closely, I didn’t advocate for either candidate, so how did you get “So we keep a crappy voter registrar because he will have influence over the Legislature to keep up crappy practices? !” from anything I wrote? Your theoretical comments about a/any online voter registration must have thrown me off. Regardless, Bennett would be supremely better so as to have a principled person who actually wants to see expanded voter registration rather than Sullivan who obviously doesn’t. Most Republicans think Sullivan is the strongest countywide candidate this cycle. The Chronicle’s failure to support him leaves them with very few R endorsements, and open to criticism that it is a mouthpiece for the Democrat Party. If they fail to endorse Sarah Davis, I will give up on them. Chronicle a mouthpiece for the Democratic Party?!!!! Good one. This is the publication that endorsed Ted Cruz. What we are seeing is an editorial board interested in pragmatic, common-sensed, solution minded candidates who have earned their well thought out endorsement. Sarah Davis’ lege district (my old district) is 50/50 Dem/Rep so it will be a toss up depending on who the Dem’s have against her (which I don’t know who it is). It would be unfair and harsh to give up on the Chron for that reason. Note: I gave up on the Chron for their poor reporting (Chronicle News Services = truncated AP news wire stories) years ago. They did finally win a Pulitzer Prize after a century of reporting recently though.